Where Your Buffalo River adventures begin! 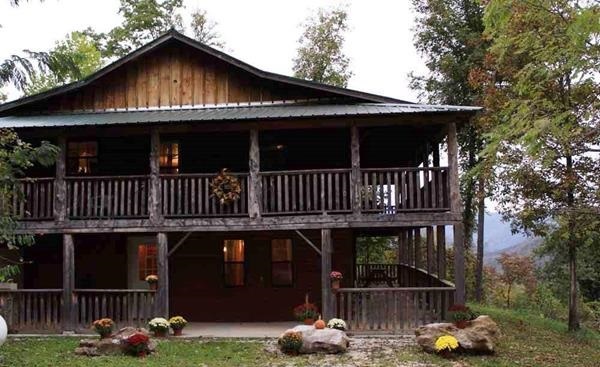 Welcome to Steel Creek Cabins and the beautiful Buffalo River! Our cabins are located in the heart of Northwest Arkansas: the Ozark Mountains. Here you will find the headwaters of the Buffalo National River, the Ozark National Forest, and Buffalo National Park. For outdoor enthusiasts, there is an adventure for every season. Track the elk running in the fall. Capture ice crystals with your camera in the wintertime. Kayak or canoe the Buffalo River in the spring, or if the rainfall is right, take a float trip in the summer. In the Buffalo National Park, hike your favorite trail: Hemmed-In-Hollow, Lost Valley, and Hawksbill Crag. Or go beneath the surface to explore its many caves. Whether you’re on a bike, in a kayak or on foot, make sure to bring a camera to capture the sights! The Ozark National Forest offers miles of trails and rivers to give you the experience of a lifetime. Travelers from all over the nation choose the Buffalo National River as their source of relaxation, adventure and inspiration. If you’re not up for sports and adventure, grab a seat on a porch swing. You can curl up with a good book or just relax and enjoy the view. 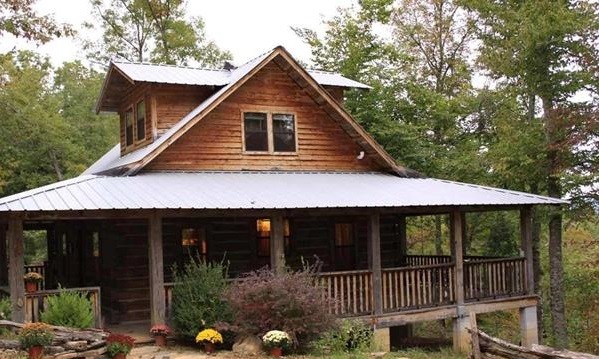 At Steel Creek Cabins, our goal is to provide you & your family with your home away from home. Our cabins are fully furnished with the latest amenities, and creatively decorated with family antiques and collectibles. Each cabin includes a comfortable living room with a flat screen TV, Dish satellite service, WiFi, DVD/VCR, dining room, fully equipped kitchen, and bath with Jacuzzi. The cabins include heat and air conditioning for your comfort. The outdoor grill, stone campfire pit, and picnic areas are perfect for evening cookouts. Kitchens are fully equipped with cooking and eating utensils - just bring your food and refreshments. Master bedrooms are furnished with a king size bed. The cabins include large covered surrounding porches, cozy fireplaces, wood floors, and all the wildlife you care to enjoy. From your porch swing, you may see whitetail deer, wild turkeys, squirrels, songbirds, game and non-game species alike. We can comfortably accommodate 6 guests in Cabin #1 and up to 16 guests in Cabin #2. Located within Newton County, Arkansas, we live in what our governor proclaimed to be the "Elk Capitol of Arkansas." Add elk to the whitetail deer, wild turkey, black bear, squirrel, fox, raccoon, bald eagles, and great blue heron, you’ll find the Upper Buffalo River has quite the show of wildlife. But the elk remain the most majestic. These impressive creatures have re-entered this area with great success; the elk population has flourished over the past decade. Each fall the elk rut from September to November. During this time, huge populations of elk gather in Boxley Valley, and many visitors witness dramatic bull elk just off the edge of the highway. Elk viewing draws photographers and wildlife watchers from all over the nation. You can learn more about the wildlife that surrounds us at the local Elk Education Center in Ponca. If you have questions, send us an email or give us a call. In no time, you will discover that this is the perfect destination for your next adventure. Our family has lived on this homestead for the last six generations. We love where we live, and are proud to share it with our guests. We look forward to providing you with the best Buffalo River getaway. When you stay with us, we make sure you "come on in and make yourself at home."